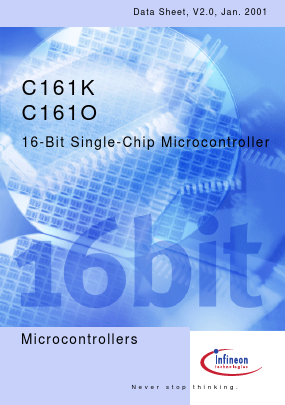 The C161K/O is a derivative of the Infineon C166 Family of full featured single-chip CMOS microcontrollers. It combines high CPU performance (up to 12.5 million instructions per second) with peripheral functionality and enhanced IO-capabilities. The C161K/O is especially suited for cost sensitive applications.